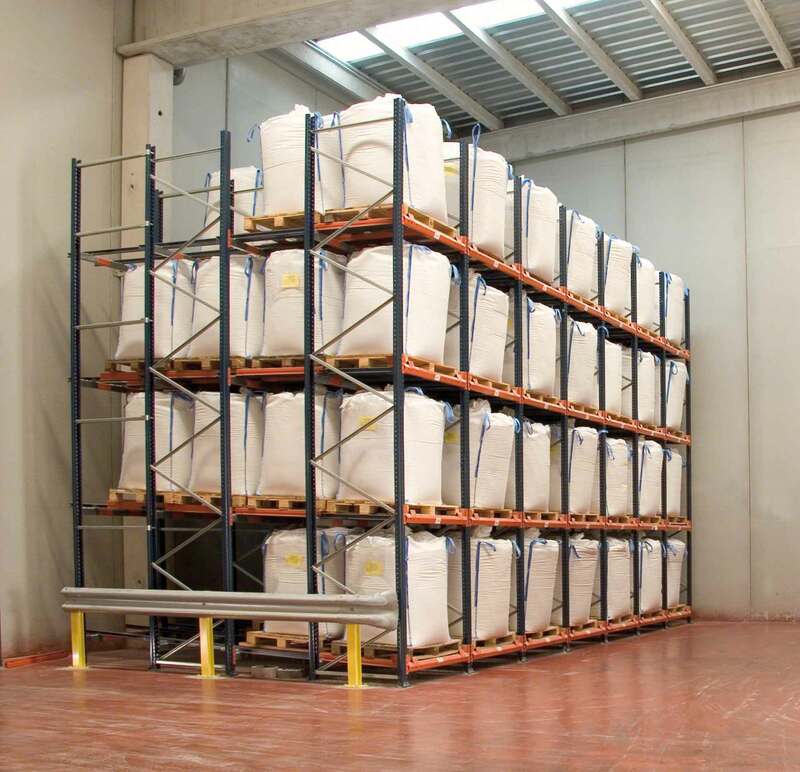 Push-back racking is a unique high-density storage solution that should not be overlooked when analyzing the advantages of storage options which optimize space utilization, increase product accessibility and maximize the efficiency of last in first out (LIFO) product rotation. What’s so special about push-back racking? Be prepared for significantly lower product handling times because forklift trucks are no longer required to enter directly into lanes to deposit or pick up storage units. Your forklift operators will immediately notice the advantages of these systems and see a sudden increase in their daily throughput. Looking for maximum accessibility to stocked picking faces? This system allows for direct and continuous access to goods thanks to a design which automatically allows products to flow forward thereby increasing picking productivity. However, keep in mind that because pallets are placed and removed from the same side of the racking unit, this system is designed for last in first out (LIFO) product rotation and is not recommended for the storage of perishable goods. Why require operators to drive forklifts directly into racking lanes when pallets can automatically flow to picking faces? This system significantly increases picking productivity and also reduces operational risks involved with staff constantly having to maneuver in and out of lanes. 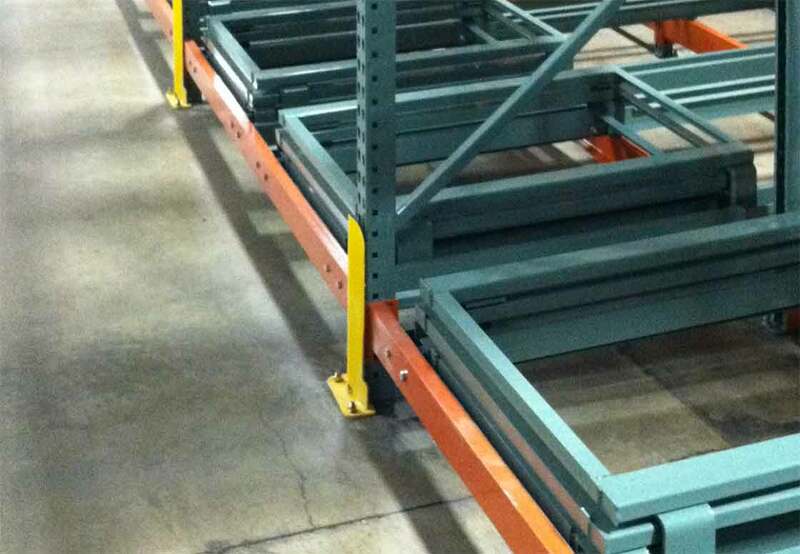 Additionally, in contrast to drive-in racking systems where all pallets in the same lane (on all levels) must contain the same SKU, the advantage of push-back pallet racking is that it allows for each lane to accommodate a different SKU because each level is categorized independently from the next. Increased versatility: Each channel allows for a different SKU reference because levels can be stocked independently from each other. Maximum accessibility: Once a pallet is removed, the remaining inventory flows forward so that operators can always count on a product being available in picking faces. Limited channel deepness: Depending on ceiling height clearance, channel deepness can be limited to a total of five pallets. High picking productivity: Systems always allow for direct picking from primary inventory positions. Low labor risks: Racking structures decrease accident risks to employees because they do not have to enter directly into channels to retrieve goods. Ready to push-back the challenges of inventory management? Many successful distribution centers have taken full advantage of push-back racking in order to optimize their logistics operations. Just look at Interworld Freight, a Miami-based freight forwarding company that can handle approximately 7,000 containers per year and who was looking to optimize space and increase throughput due to a sudden rapid growth in client demand and the company’s success. As a result of investing in a new warehouse system, which included the installation of push-back racking, Interworld Freight enhanced their space utilization, reduced damages to inventory and saved nearly $1 million over a five-year period in rent and associated costs. Increased safety and quicker operational maneuvers for picking. Recommended for storing average to high consumption products. Ideal for LIFO product rotation strategies.